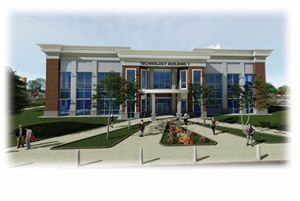 The groundbreaking for Pensacola State College’s East Wing of the new STEM building is set for 9:30 a.m. Tuesday, Nov. 13, on the Pensacola campus. Construction on the first phase (East Wing) of the facility will begin in January 2019 – following the abatement and demolition of the existing Mary Ellison Baars Building. The East Wing will be home to the College’s cybersecurity and mathematics programs. The cost for the East Wing is $13 million. The total cost for the entire facility is projected to be $34 million. A construction start date has not been set for the second phase (West Wing and second-floor connector). Pensacola State President Ed Meadows said the facility is a necessity. “We badly need the space for our cybersecurity degree program which has quadrupled in enrollment since it was first offered in fall 2016,” he said. 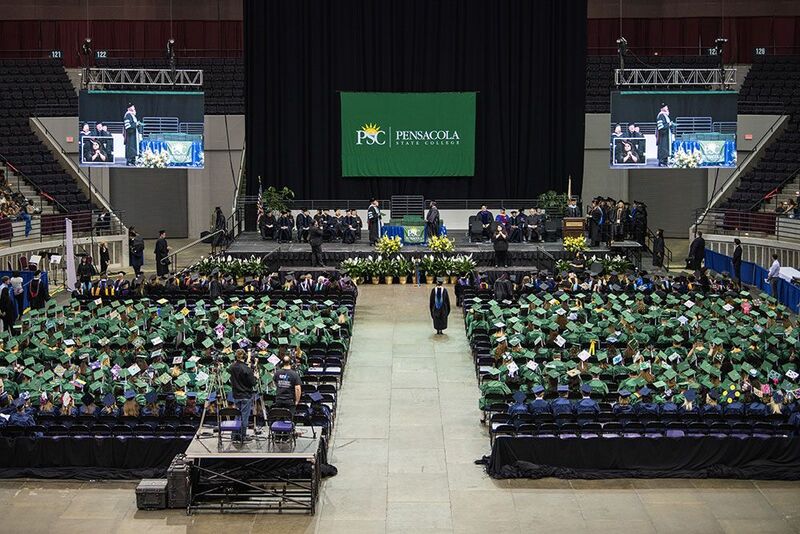 With 15 stackable nationally-recognized certifications leading to the associate of science and bachelor of applied science degrees, this facility will be state-of-the-art for high-demand high-wage jobs. Once the entire facility is completed, it will be home to the College’s computer science, aviation maintenance and advanced manufacturing programs. “We also wanted to lock in the construction costs before Jan. 1. Right now, we have sufficient funding for the East Wing with the majority of funds coming from the state PECO (Public Education Capital Outlay) allocation,” Meadows added. In addition to cybersecurity and math programs, the 25,389-square-foot East Wing will house math tutorial labs and office space. The first phase is projected to be in use by May 2020. The West Wing and second-floor connector will be a total of 46,133-square-feet and is projected to cost $21 million. Ajax Building Corp is the project’s general contractor, and Florida Architects designed the facility. The STEM facility will replace the Baars Building (Building 1), which was constructed in 1956. The facility was named for the matriarch of the Baars family in recognition of their role in making the property available for the College’s Pensacola campus.